Mobile users are demanding fast and efficient ubiquitous connectivity supporting data applications. This connectivity has to be provided by various different networks and protocols which guarantee that mobile networks function efficiently, performing routing and handoff for mobile users. Hac proposes a comprehensive design for mobile communications including mobile agents, access networks, application protocols, ubiquitous connectivity, routing, and handoff. It covers the entire spectrum of lower and upper layer protocols to evaluate and design modern mobile telecommunications systems. Furthermore, the aspects of modern mobile telecommunications for applications, networking, and transmission are described. For mobile users and data applications these are new networking and communications solutions, particularly for the local area network environment. The book is written as a practical, easily accessible tutorial with many figures and examples of existing protocols and architectures making it essential reading for engineers, system engineers, researchers, managers, senior & graduate students. Mobile Agent Platforms and Systems. Mobile Agent-based Service Implementation, Middleware, and Configuration. Network Architecture Supporting Wireless Applications. 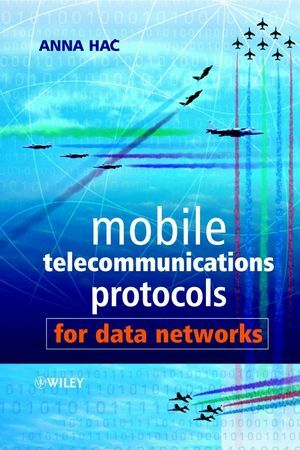 Routing Protocols for Mobile and Wireless Networks. Handoff in Mobile and Wireless Networks. Signaling Traffic in Wireless ATM Networks. Two-phase Combined QoS-based Handoff Scheme.